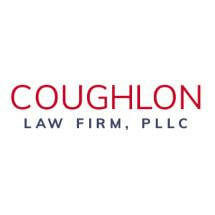 Welcome to the Website of Coughlon Law Firm, PLLC., Immigration Lawyer in Phoenix, Arizona. We appreciate you taking the time to visit. We hope that you will find this website interesting and informative. If you need help with your immigration case, we would consider it a privilege to have the opportunity to speak with you. Over the years, we have helped many immigrants from all walks of life, and from all over the world. If you are searching for friendly, caring, down to earth immigration attorney in Phoenix, call us. Robert enjoys getting to know his clients and guiding them through the immigration process. The United States is a great country of opportunity and freedom. If you have a dream of a better life in the United States, we would like to help you make that dream a reality. We can help you and your family obtain legal immigration status. You may be eligible for either family-based or employment-based immigration, depending upon your particular circumstances. Contact us for a free consultation to see how we may assist you. We can help you solve your immigration situation and achieve your goals. Our life's work is to help immigrants. This is our passion. We look forward to meeting you and finding out how we can help you. We provide our clients with reasonable flat fees. We believe it's important for high quality legal services to be affordable and accessible. We also strive to give excellent professional service to each client. We start by giving free consultations in our office. Robert personally meets with each potential client to evaluate their legal situation and discuss the immigration options available to them. The following are examples of some common immigration scenarios. If you are a foreign national in the United States and are married to a United States citizen, we can help you. If you have children or parents who are US citizens or permanent residents, we would like to talk to you to see how you might qualify for legal immigration benefits. Or, if the government is trying to deport you, don't go to immigration court alone. You need a qualified, experienced immigration lawyer to help you. Law Office of Robert E. Coughlon, Jr., P.C.